Carrots, originally uploaded by VeroC. 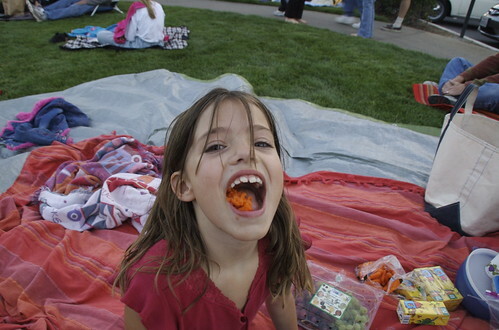 My little theme of colorful mouths felt incomplete without the addition of this Fourth of July shot from last summer. Don’t those carrots look delish? oh summer! blankets, short sleeves and a mouth full of carrots!! cute picture.